Little Beside House is a Grade II listed property in mid-Cornwall just west of Truro. 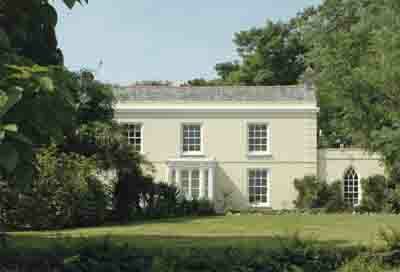 The property dates from the early 19th century and was extended in the middle of the 1800s. Inside, generous accommodation includes five reception rooms and five bedrooms (each with a bath or shower room attached), while the magnificent staircase leads to a galleried landing. Period features include ornate plasterwork and cornicing, as well as sash windows. There are French doors from the conservatory to the inner courtyard garden, and to the walled garden from bedroom five on the rear landing. Outside to the rear is the charming walled garden with extensive grounds bordered by trees – the land comes to nearly four aces. The historic hamlet of Little Beside lies close to the former mining settlement of St Day in mid-Cornwall just four miles from Porthtowan on the north coast and eight miles from the Fal Estuary in the south coast. The guide price is £695,000. For further information please contact Savills on 01872 243 200 or visit the property on their website.